SOLOMON ISLANDS — December 10, 2007 — A young American, Justin Taylan, 30, of Hyde Park, New York, has been held captive five weeks since November 6, 2007 in the Solomon Islands, a tiny Pacific island nation off the east coast of Australia. Taylan is founder of a non-profit history website detailing World War II stories and Pacific theater airplane wrecks. 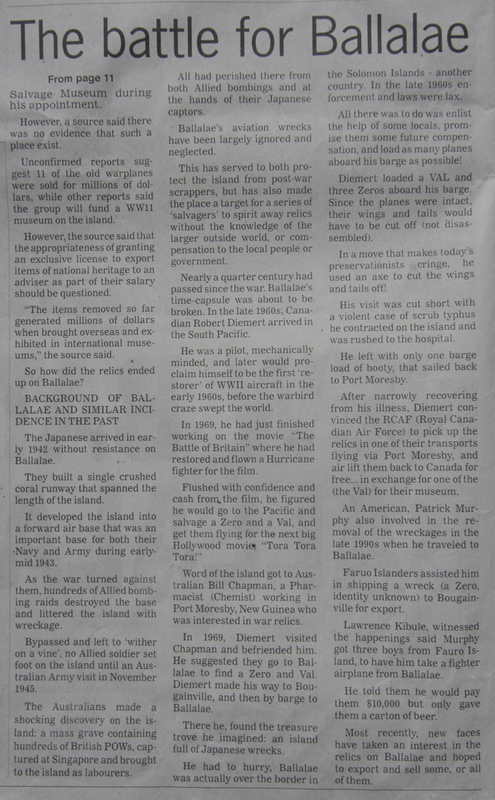 Traveling by boat from Papua New Guinea, he hoped to explore relics from the Battle of Guadalcanal. Also held in custody by Solomon authorities are Taylan’s colleagues Yoji Sakaida, 41, of Chiba, Japan, World War II enthusiast and graphic designer, Rodney Pearce, 57, citizen of Australia and the ship’s captain, and Daisy Eliah, 25, citizen of Papua New Guinea, the ship’s cook. 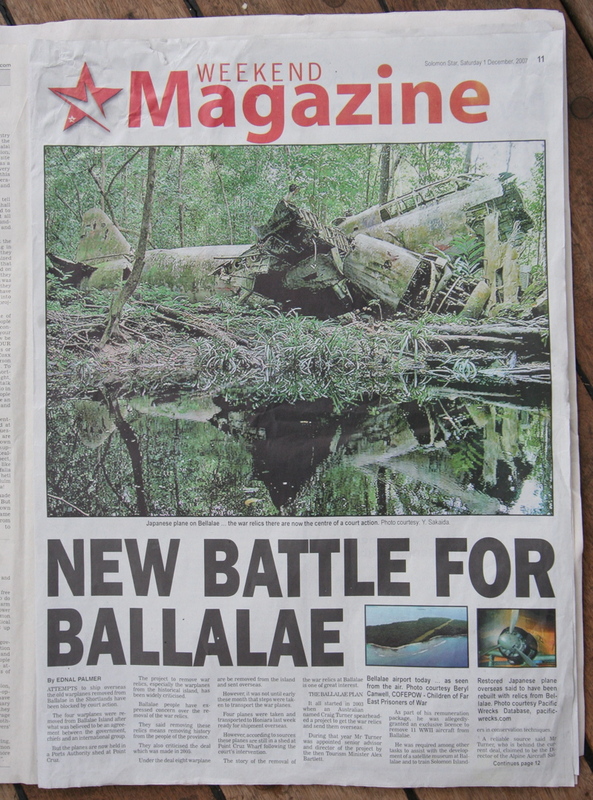 The grandson of World War II combat photographer Carl Thien, Taylan gained an appreciation for Pacific War air battles early on. As a teenager, he accompanied his grandfather on a return trip to Papua New Guinea to photograph wrecks in their original locations. Taylan searches out wrecks, safeguards human remains, and returns dog tags and other artifacts to surprised veterans. 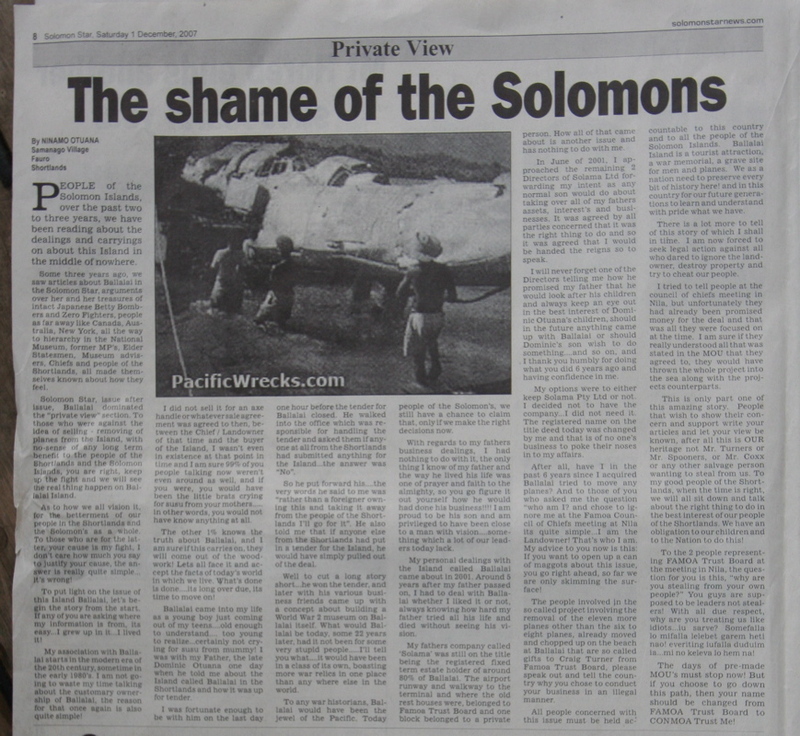 He is founder of PacificWrecks.com, a free, non-profit history website detailing World War II stories and Pacific theater airplane wrecks that draws 45,000 hits a month. He produces and distributes his own historical documentaries and has appeared on The History Channel and PBS. He wrote his first book about the war, “No Place for a Picnic,” at age 16 and has since been published in many historical and flight publications and spoken on this topic around the world.